utilizes a number of different puppetry methods. The main puppets used are the usual Muppet hand puppets, but the characters are frequently represented by marionettes as well. It also utilizes the Bunraku and Black Theater techniques. This is also one of the first Muppet productions to use radio control puppet effects, designed by Faz Fazakas. The special is available in a series of different edits. This is one of my favorite Christmas movies, as well as one of my favorite Muppet movies! We just rewatched it recently! Ma Otter has a soft, sweet, beautiful singing voice courtesy of Marilyn Sokol, but she's just the voice actress, not the puppeteer; all her lines were dubbed in after the physical puppet-controlling process. For the actual filming, they used brilliant puppeteer Frank Oz (voice of Gonzo, Yoda, Miss Piggy, and about a million other muppets). You can hear his rendition of Ma Otter in this outtake reel. Marilyn Sokol does a great job too, but because her lines aren't precisely synced up to the hand doing the puppeteering, the timing of her lines has always bothered me slightly. Plus, the Frank Oz version of the voice is kind of delightfully bonkers. I've always wished I could see a full version with the Frank Oz voice all the way through; I'd be particularly curious to hear his weird Grover-like warble singing all the songs that Sokol does so beautifully. It's a shame that the Kermit scenes have been removed from some of the later edits, as this was the first time Henson put the frog on his bike, a trick he later featured in The Muppet Movie. Also, the character Emmett Otterton from Zootopia was named a deliberate homage/nod to this special by that film's creators. One of my childhood favourites! Though Ma Otter's line of "I haven't had this much fun since Pa died!" Feels suspect these days. I can't even watch this most years because it just makes me cry. Why are those silly looking puppets more real than most actors? oh my god. I was just going on and on to my friends-with-kids that they HAVE to watch this one ASAP. the mom found the Riverbottom Nightmare Band song on Spotify and when I told her they were the bad jerk guys, the kid (third grade) said, "I hate to say it, but they're playing a GOOD song!" I remember as a kid wondering how the puppets were being maneuvered in the boat/water. 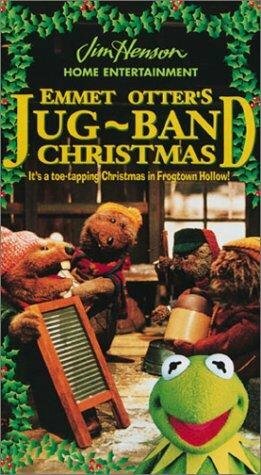 my brothers and I got this on a hand-me-down VHS taped off TV by another family, and we watched it at least every year from when I was six to sixteen. the tape got lost sometime after; I was so sad the next Christmas without it. later, during the age of WinMX/Soulseek, I somehow stumbled upon mp3s of the soundtrack and then would play them on college radio (on sunny spring days -- totally not at Christmastime). then my CD-R of it was playing in the car as my boyfriend and I were breaking up the final time and we were sitting in my driveway. swear to god, it was "when the mountains" through "we're closer now than ever before" (!) -- I was bawling. even he was crying. and then within the semester HE was playing "Brothers" on HIS radio show. Both of their plans are terrible, but Emmett's is worse, because if he had won and put a down payment on a piano, they would have just ended up in debt and without their main source of income. I love this movie so much. I watch it every year. Ma Otter is the most adorable Muppet of all-time. I was so delighted earlier this year in Zootopia when the otter character was named Emmett Otterton. The first time I ever saw the outtake reel, I was in a hotel room by myself, and I laugh-cried uncontrollably for about 20 minutes.